Are Jos. A Bank Suits a Good Buy? 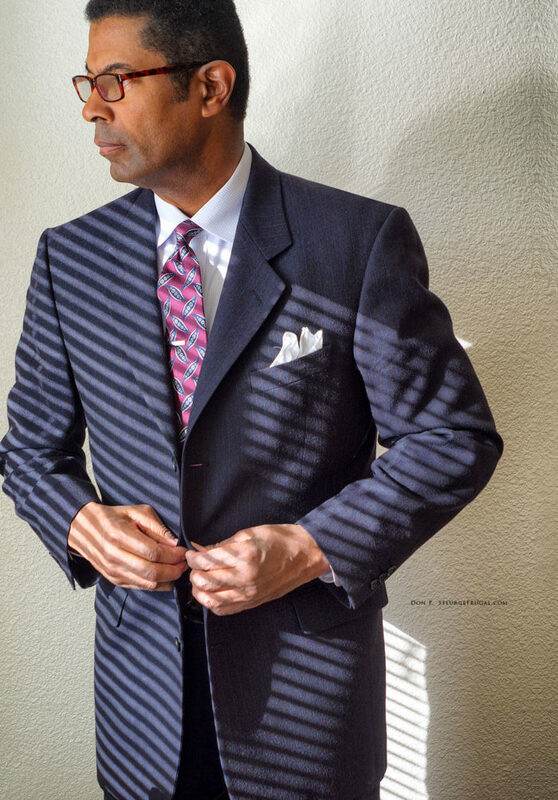 Before you delve into this guide, be sure to check out my guide to buying used suits online for buying tips that apply both to suits and sportcoats. By the way, the sharp Paul Betenly wool blazer shown above cost me only $11.00 second-hand on eBay. So, how do you thrift shop for sportcoats and where? A sportscoat is not a suit jacket. 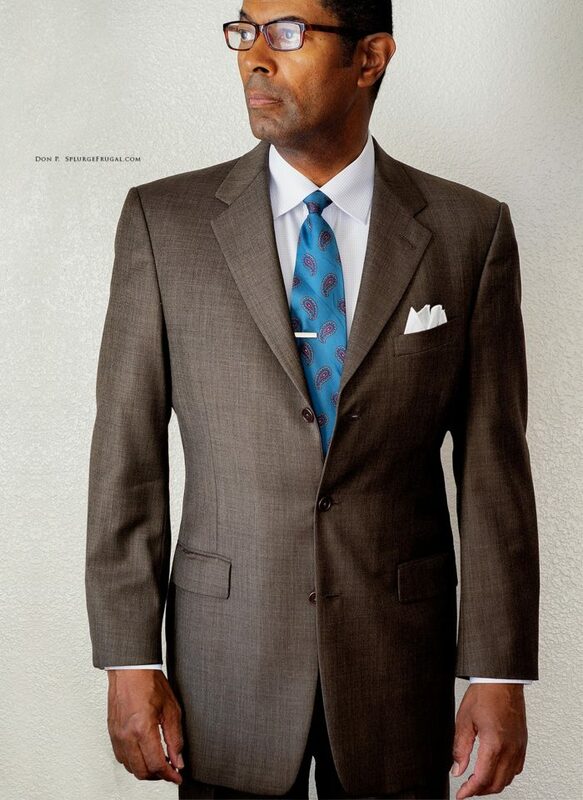 As the name suggests, it is intended to be ‘sportier’ or more casual, less formal than a suit. It is designed to be worn for more ‘sporting’ occasions with slacks in a complementary color. 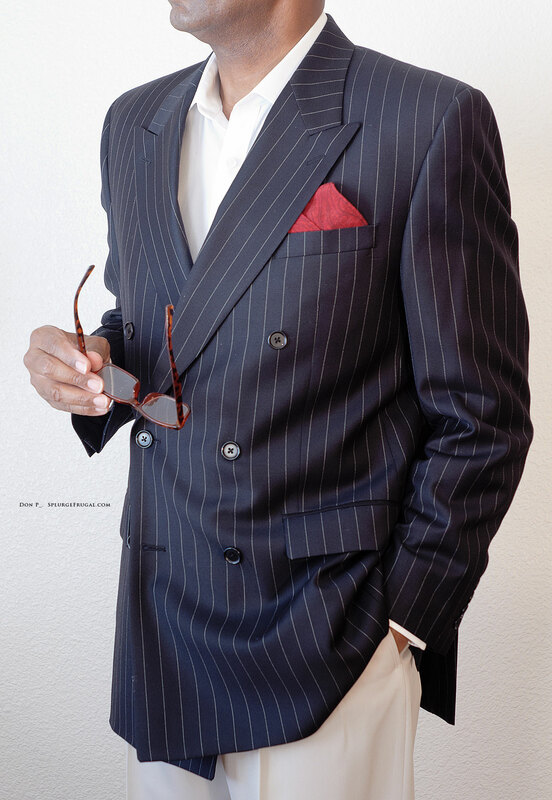 For that reason, sportcoats generally come in a wider range of colors and patterns than suits. Also, they tend to have bolder patterns and textures. When buying used sportcoats keep this one caution in mind: An orphan suit jacket is not a sportcoat. 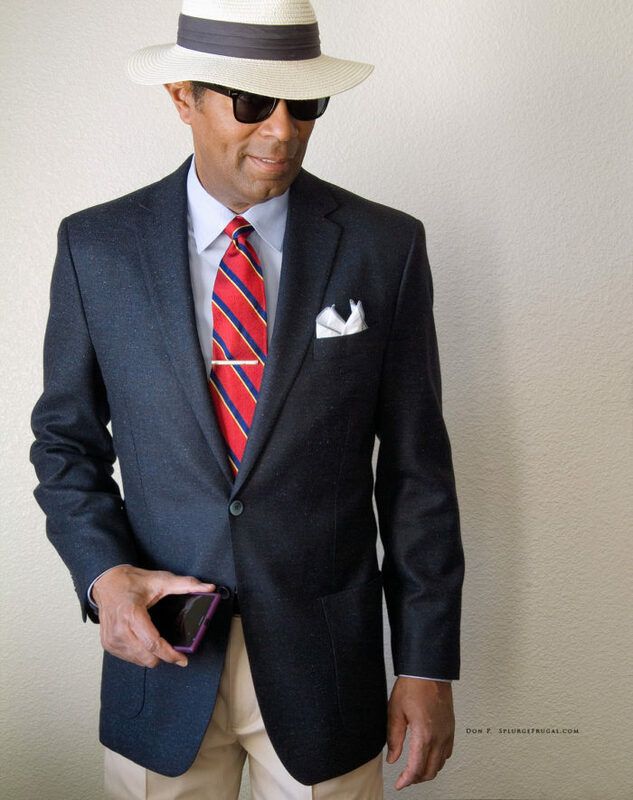 Typically, when shopping for second-hand sportcoats in thrift shops or online you will come across loads of suit jackets without matching slacks offered for sale as ‘sportcoats.’ They are not sportcoats and will generally look like an orphaned suit jacket with mismatched pants when you wear them (with the exception of dark blue suit jackets that can pass as blazers). And no my friends, there is no such thing as a pinstriped sportscoat although you will often see them for sale on eBay. How can you tell for sure that what you’re looking at is a genuine sportscoat and not a suit jacket? Look at the label located in the inner pocket of the jacket. If you see both a jacket and waist size listed such as 40R/W32 or 42L/W36, that is a sure sign that you have a suit jacket. It is giving you the waist size (W) of the matching slacks. 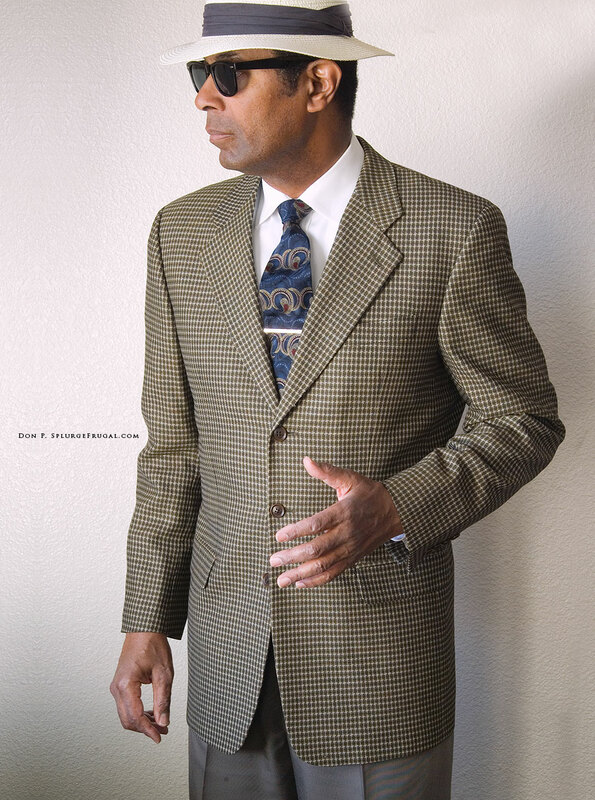 A true sportscoat will only have a jacket size such as 40R or 42L listed on the label. The only exception to this is when suits are sold as separates. Generally, the more conservative color and texture of the fabric is a dead giveaway that you are looking at a suit jacket. A true classic blue blazer will nearly always have contrasting color or metal buttons. 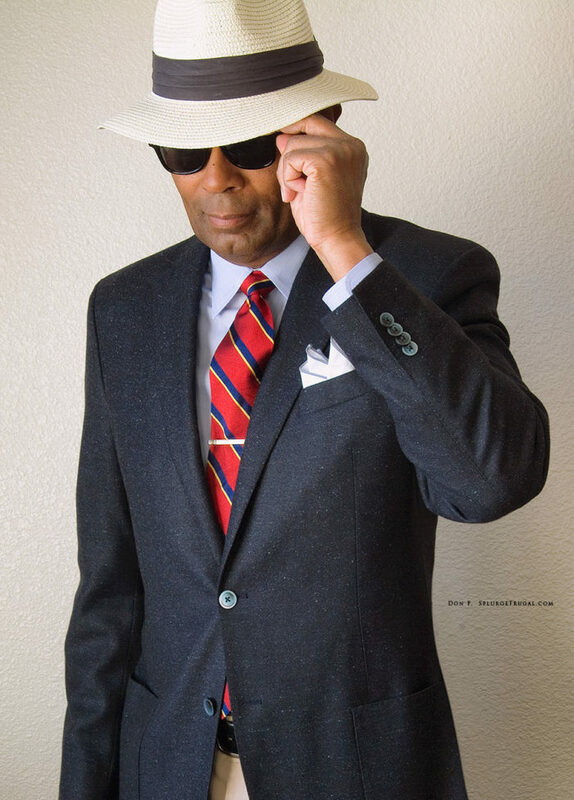 I have at times given a blue suit jacket a new life as a blazer simply by replacing the dark colored suit buttons for more colorful blazer buttons. The best place to find the widest selection of used sportcoats is on eBay. You can shop from your device or computer and have an amazing range of colors and styles at your fingertips. Generally, I find it more difficult to locate better quality sportscoats at my local thrift shops. Many sellers (including thrift shops) now list their better second-hand clothing on eBay or other online merchants. Let the buyer beware: Many of the sportcoats listed on eBay are really orphaned suit jackets. For that reason, you need to have a discerning eye. 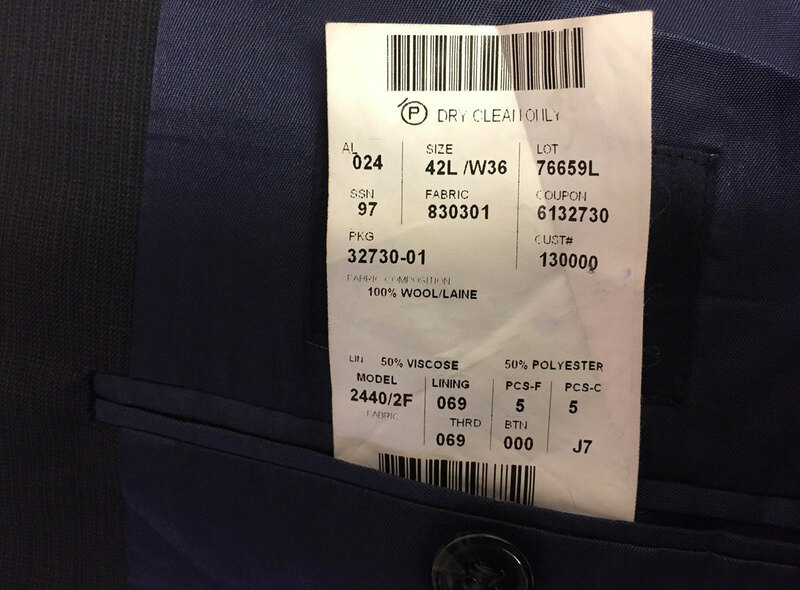 Look at the label if it is posted in the ad to see if it has a waist size listed next to the jacket size as discussed earlier in this post. 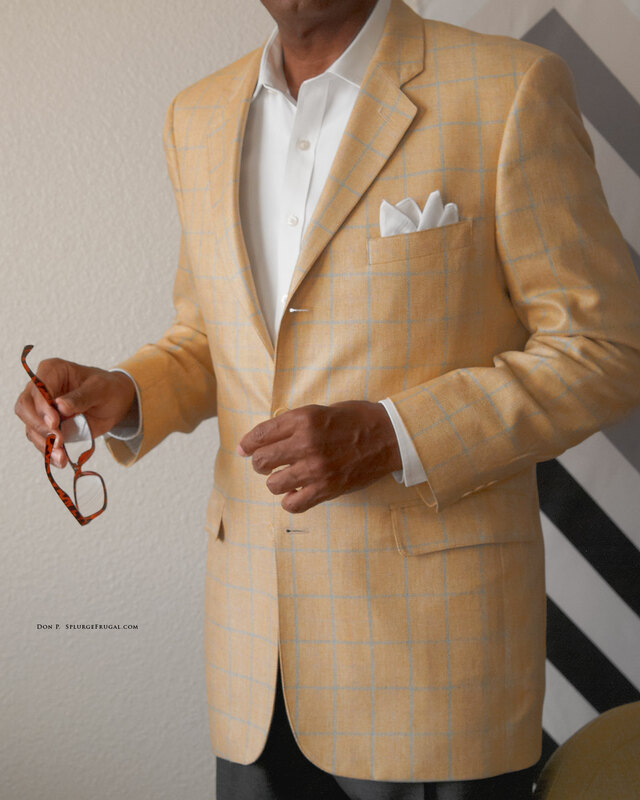 Also, since sportcoats are inherently ‘sportier’ than suits, you can generally tell by the stronger patterns, brighter colors or more distinct textures that what is offered for sale is a true sportcoat. While suits generally have more conservative colors and fabrics, look for bolder colors and fabrics when buying sportcoats. 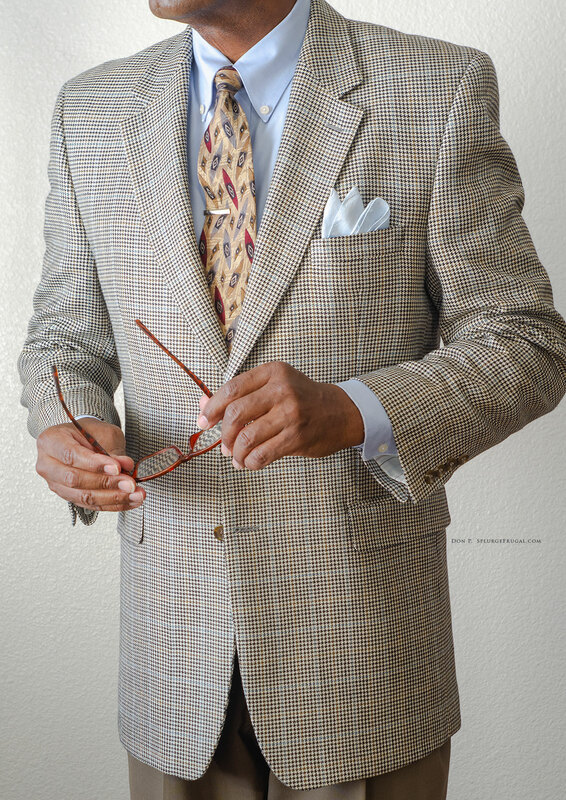 Linens, tweeds, silk and other distinctive fabrics are often used for sportcoats in bolder colors and textures. 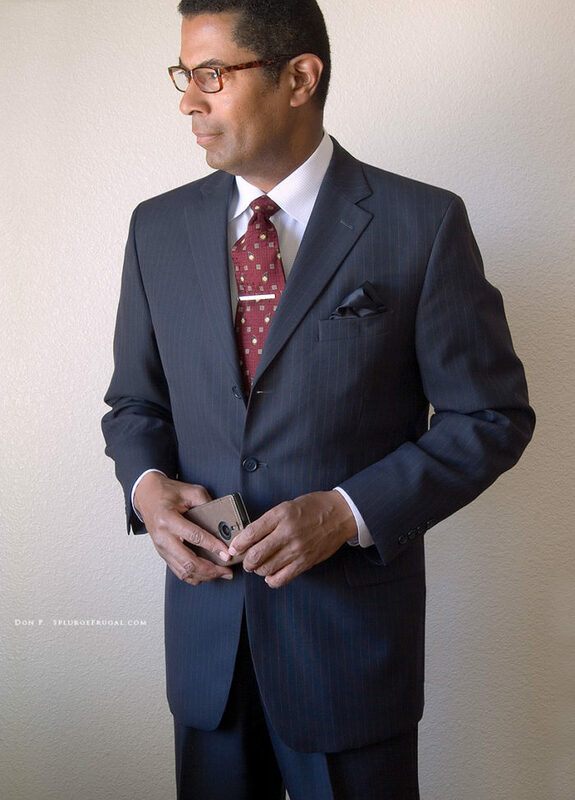 Seek out menswear brands that are known for quality – see my article listing recommended suit brands. The best suit manufacturers also make the best sportcoats. Gianfranco Ruffini Wool Tan Herringbone purchased for $16.00 on eBay. You can find an excellent range of gently used second-hand sportcoats online for well under $50.00 that would retail when new for $400 and higher. Each of the sportcoats featured on this page cost me less than $30 second-hand on eBay in excellent condition. I hope this guide helps you to find some great used sportcoats to add to your wardrobe at bargain prices! Here are some of my favorite fall and winter sportcoats acquired in thrift shops or by shopping online. You can find similar deals, especially on eBay and Poshmark. 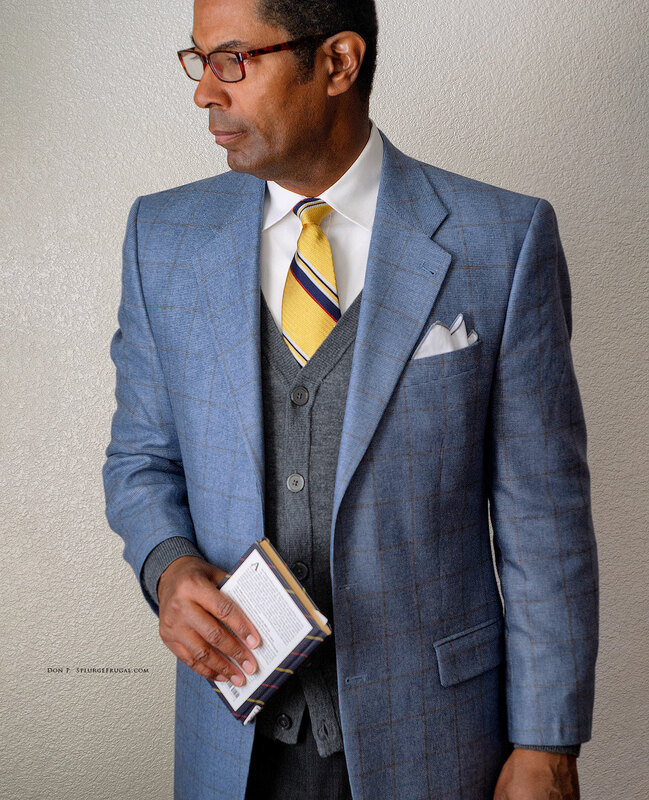 This is not really a sportcoat, it is the jacket to a stylish double-breasted wool suit by Bachrach. I purchased the used suit at Savers Thrift Shop for $12.00 and discovered that the pants could not be altered properly to fit me. Not a problem! The jacket can stand on its own as a sportscoat. 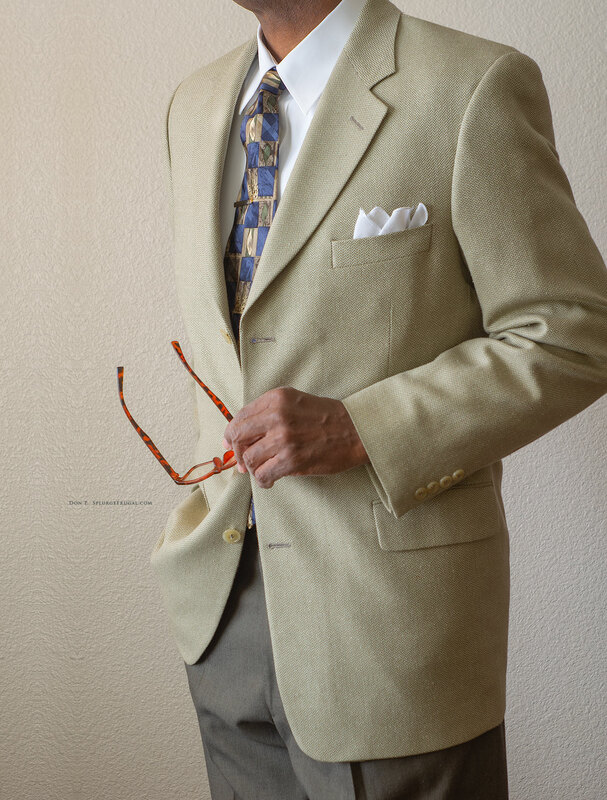 The chalk-striped pattern works well with a pair of white slacks in a combination reminiscent of the 1930’s. The washable polyester pants were also purchased at Savers Thrift for $3.00. It makes a great outfit for the fall. This sportscoat purchased second-hand on eBay for $24.00 has a beautiful silk-wool combination fabric that has a luxurious sheen and feel for fall and winter dress. As a result, it feels ‘dressier’ than an all-wool tweed sportscoat. 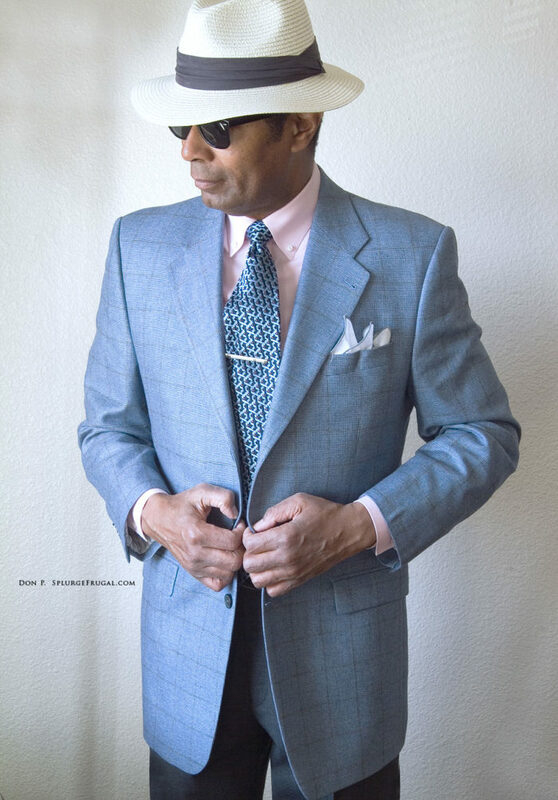 Silk and wool blend fabrics generally have brighter colors and a softer hand due to the characteristics of silk and are worth seeking out when thrift-shopping for sportcoats. 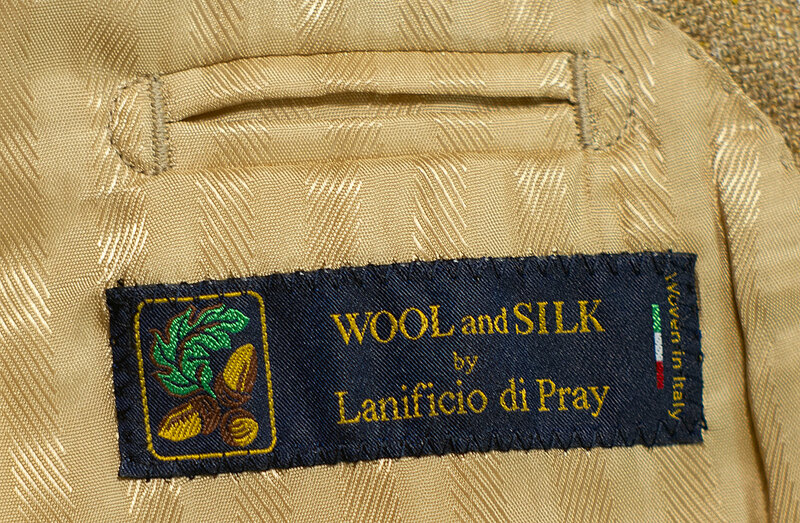 If you are thrift-shopping and come across a suit or sportscoat with a label that has the words “Lanificio Di Pray” or “Loro Piana,” somewhere on the lining, just buy it. You can be sure it is a top quality garment as these of two of Italy’s finest luxury fabric mills. Their fabrics are used only by better menswear manufacturers and bespoke tailors. 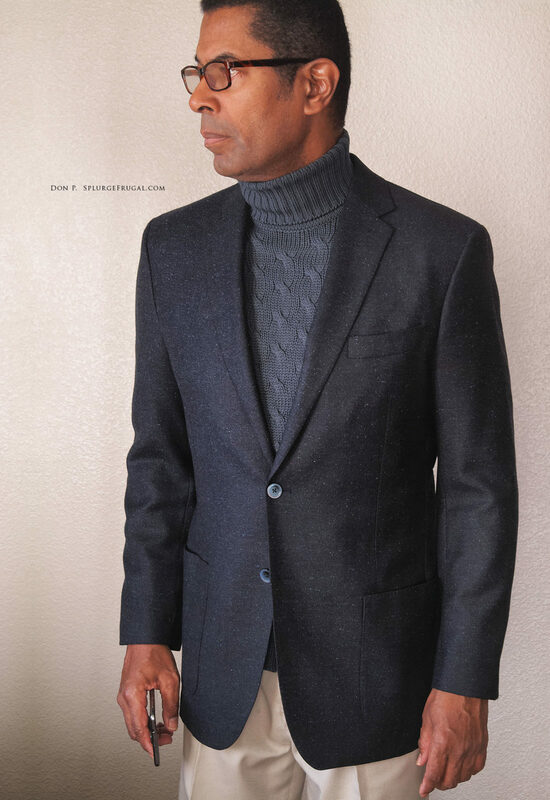 The sportcoat above, by Baroni Couture, uses Lanificio Di Pray silk and wool fabric and would retail for $600 if new. 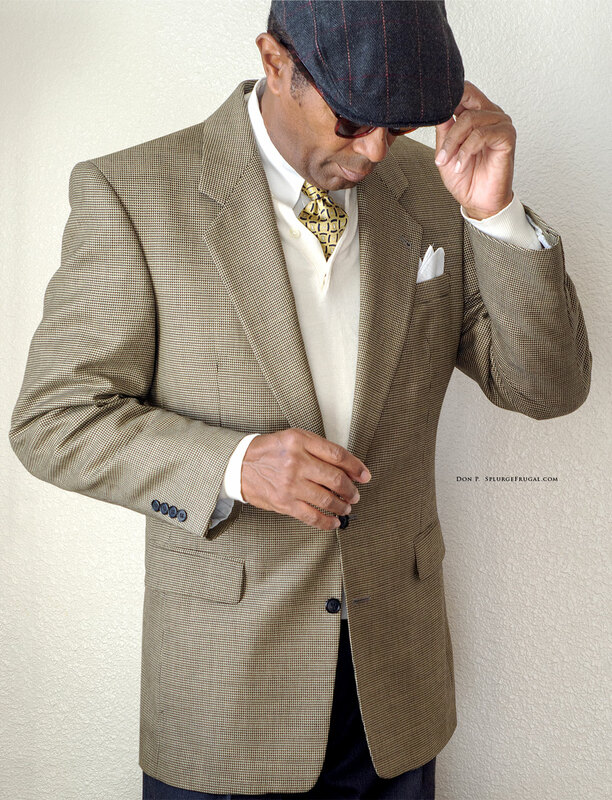 I purchased this beautifully tailored garment in like-new condition for the rock-bottom price of $6.00 (yes, $6.00) on Poshmark. Learning to research and identify better menswear labels can help you to discover hidden gems when thrift shopping! This is the cheapest sportscoat I have ever purchased and one of the finest! 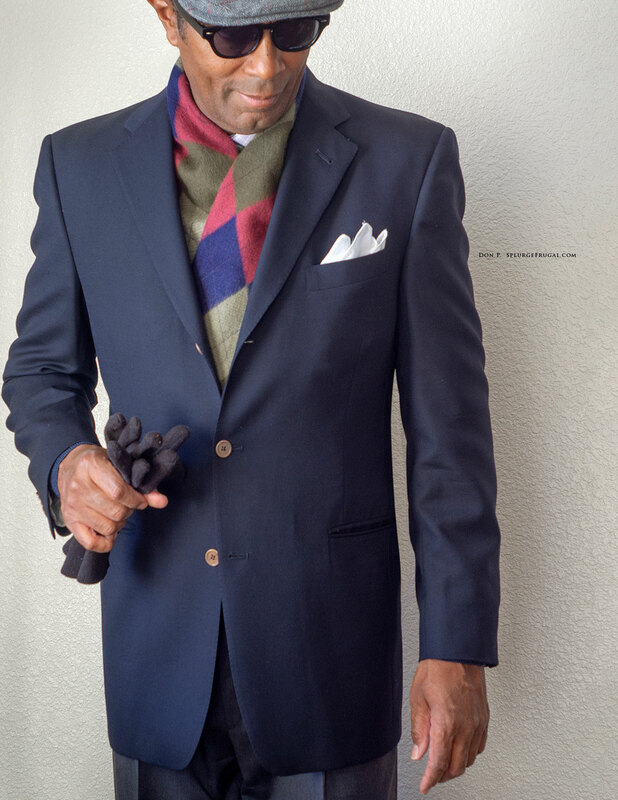 What is more luxurious for the fall and winter than a cashmere and silk sportscoat in a beautiful windowpane pattern? This is one of my top thrifting finds of the year (only $36.00 on eBay). 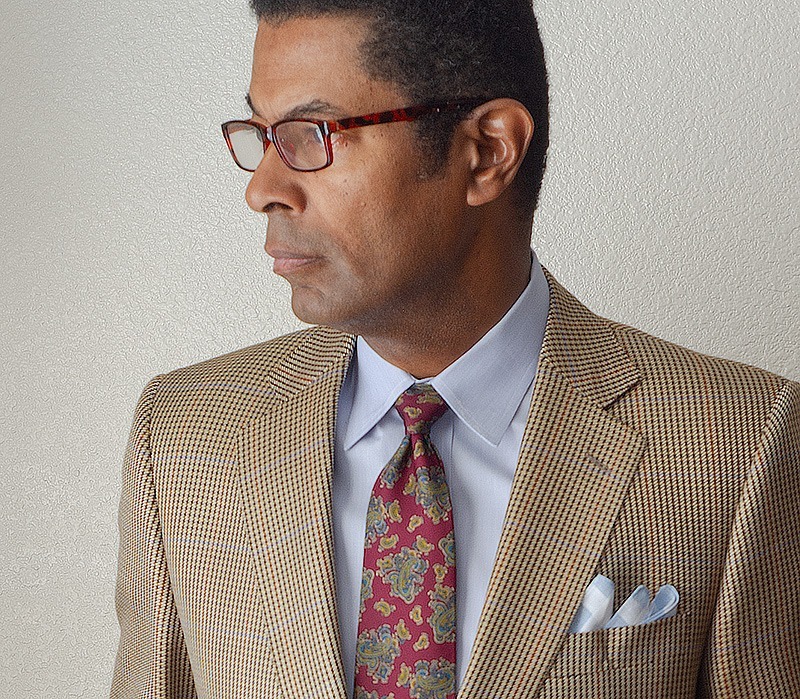 I go into detail about all of the virtues of this handsome sportscoat in this post. It was a bit more than I usually pay for a sportscoat but so worth it! All of the second-hand sportcoats shown here cost less in total than I would pay for one sportscoat in a better menswear store. You can find similar bargains! I hope this article inspires you to thrift shop online and locally for low-cost, high-quality sportcoats! 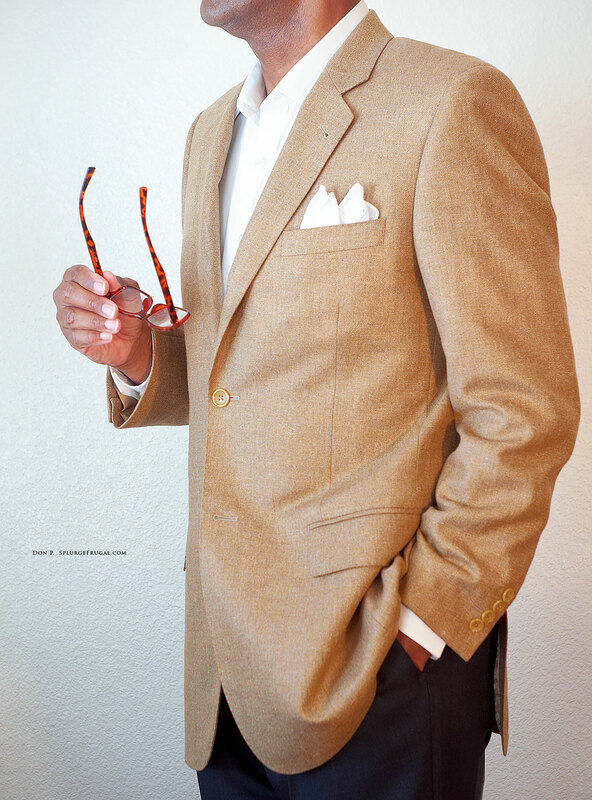 By the way, be sure to check out my thrift shopping tips for casual men’s clothing! Second-Hand Maestrelli Sportscoat Purchased for $21.00 on eBay. Silk & Cashmere Sportscoat Thrift Find! Cheap Panama Hats, Frugal Style! How To Make a Pocket Square for Free! 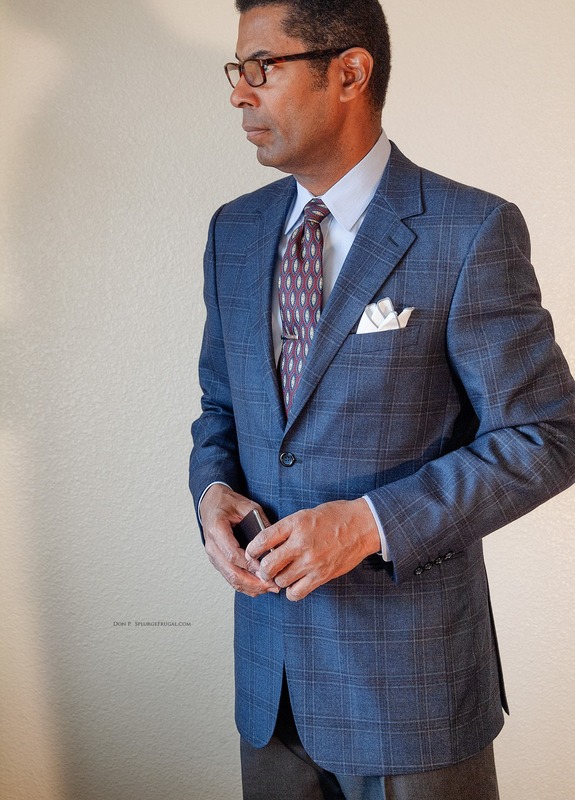 Daniel Cremieux Suits, Style & Value!